Go Solar and support the team! MHC Cycling finished as the 6th overall team at cyclocross nationals last December, then recently as the 6th overall team at road nationals, and has now placed 6th overall for the year in a national ranking that combines points earned at every discipline’s (track, mountain, cyclocross, and road) national championships. We accomplished our latest 6th place despite only having teams at two of the four events scored. The three 6th places are an ominous warning to our competitors that we’re about to take a step or two up next year, thus forcing at least one of the dynastic teams off of the podium. Read about the year-long winners and how all the other teams placed HERE. In support of the Mars Hill College Cycling Team, Ion Sports Nutrition is helping raise funds by donating proceeds of sales to the team. You use promo code MHCC through May and you get 10% off your order while the Team gets $15.00 per can of Competition and $12.00 per can of Ignition sold! This is a great way to get the same fuel the Team has used all season and to help support the Team. Thanks ISN, and thanks to you all. MHCC loves you. To make a long story short, MHC ended up 6th in the overall team omnium rankings out of the 46 schools in Division II that competed at nationals. Now, that doesn’t sound so bad; sounds like a strong showing, and it was… but it wasn’t what we wanted nor is it demonstrative of our abilities. Good luck, bad luck: that’s bike racing, and we had our share of the latter in the road race, which was contested on a very challenging course that climbed over 8,oooft in 72 miles and witnessed temperatures in the 40’s and a constant, soaking rain: the same conditions for all teams. Matt Willing was in position to compete for a top 3 finish in the men’s race but flatted on the last lap. A breakaway of three escaped early and Matt made a successful bridge to a small chasing group on the last lap. By then there were only two riders in the lead and Matt was in a small group racing for third that still had hopes of catching the leaders. But when Matt’s front wheel went flat and he raised his arm to signal Shimano neutral support–the only mechanical support allowed in the race–for a new wheel, there was no one around and he had to wait until the main group passed before being able to get a wheel and continue, finally crossing the line in 16th. Paul Webb also flatted during the race and finished 28th. Kyle Knott and Francisco Fuster bravely finished in 35th and 38th resulting in hypothermia, and both needed assistance afterward but were okay. With an attrition rate of well over 50% due to a very tough course and even tougher conditions, it was a battle and an honor to finish. In the women’s road race, flats again plagued our chances, with Klara Rossouw flatting on the first lap and having to ride a front flat tire for 10 miles before Shimano was able to replace her wheel. She would later have a rear flat, but by then she was out of contention for the top spots anyway and it was her drive to finish and score points for the team that mattered most. The rain was making the road surface’s tiny sharp pieces stick to tires for enough revolutions to dig into tires and puncture inner tubes. I think Shimano changed about 50 flat wheels during all of the road races, so we weren’t the only ones affected, but we were certainly unlucky that flats struck our strongest riders for the road race. Still, they fought on, and Klara and Yoly finished despite losing significant time and earned the respect of everyone who witnessed their herculean efforts to finish when so many others were quick to withdraw due to the conditions. The criterium and the team time trial didn’t go much better. In the men’s criterium, the team was successful in keeping the field together for a field sprint that would favor Kyle Knott. Kyle was feeling strong and latched onto the back of Mesa State’s leadout train and onto the wheel of the eventual winner with 2 laps to go. He was in perfect position but got pinched off in a corner and was never able to regain lost momentum on the fast, technical course. All four of our riders in the race finished in the top half: Kyle Knott, Nikola Milanovic, Paul Webb, and Matt Willing. In the women’s criterium, Klara and Yoly finished as well. The TTT was our last chance to gain enough points to move up into 5th in the team standings and thus onto the final podium, but it was going to take a miracle for us or a disaster for someone else and neither happened. We wound up the weekend as the 6th placed team. Again, a very strong showing, but not what we wanted. We are left with a hunger for next year, which will be held on the same courses, and hopefully not in the rain. Plus, all of our riders are returning for next year (with the exception of Melissa Holloway who was accepted into the graduate program at Belmont–congratulations!) so we will have that advantage over many of the schools who will graduate their top riders this year. 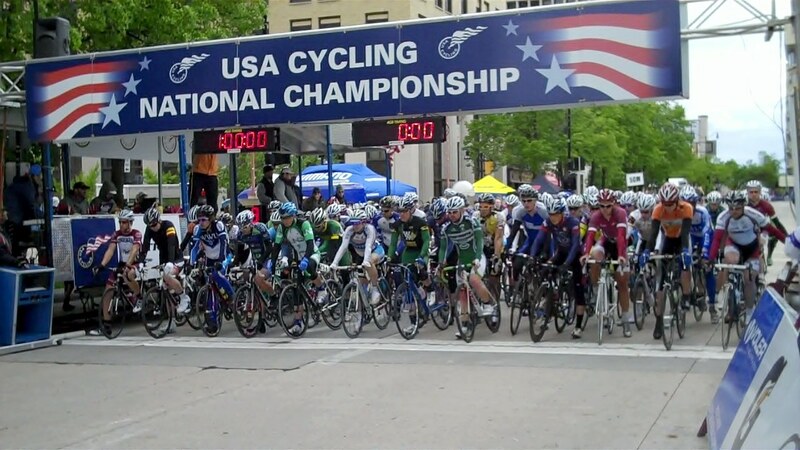 For now, we will take a slight breather and then refocus our sights on a possible trip to track nationals and then the mountain bike and cyclocross seasons. So stay tuned… we’ll have some exciting new roster additions to announce soon.